There is nothing in the world greater than having a best friend. You always seem to find them in your hour of despair and loneliness. They are that person who has a weird yet unbelievable connection with. They support you and your shenanigans to the end of the earth, laugh and cry with you, and most of all see the REAL YOU in a way that no one else could understand. Photographing H & B had to be one of my most favorite session. H flew all the way to Oahu to spend some quality time with B. They took advantage of their time here to capture an epic Best Friend Senior Portrait Session. Watching them interact with each other was hilarious. I hadn't laughed so hard in such a long time! The girls had their own inside jokes, and were telepathically speaking to each other the entire session. I'll admit, at times I found myself a bit envious that I wasn't part of their crew. I did offer to be the third member of their "Thelma and Louise" clique, but I guess being in my 30's was an automatic disqualification. 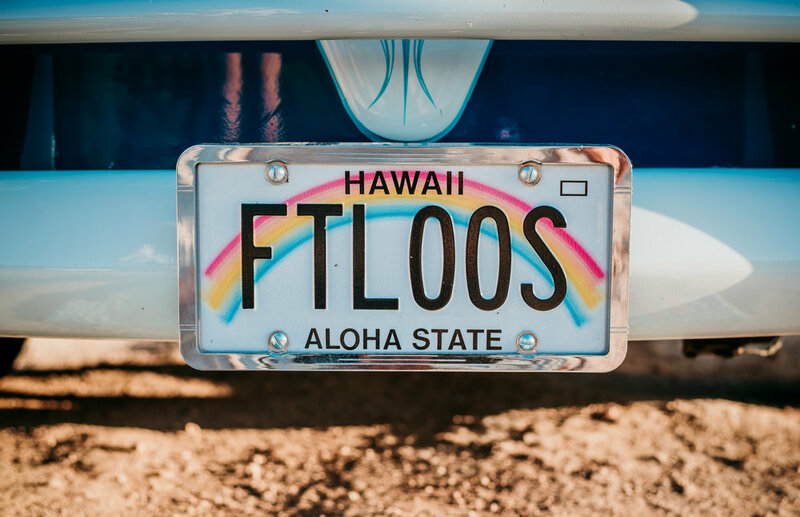 So with the combination of a Volkswagen bus, the Kaena Point mountain range and west Oahu sunset as our backdrop, we captured some pretty awesome memories full of laughter, secrets, and daydreaming of one day being famous. You only get 18 summers with your kiddos, lets start recording these special milestones before its too late! In words of Dr. Seuss, "Oh the places you will go!" But wherever you go, go fiercely and unapologetically!